It’s time for more input from the readers. 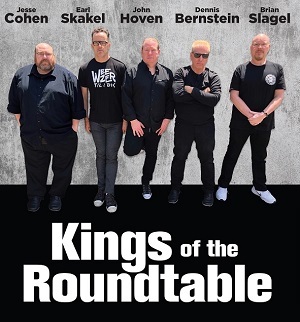 For the first time since December 2008, the Kings played back-to-back home games on Monday and Tuesday. The first contest featured a boring 40 minutes, where the Kings were limited to just six shots on goal, but began the third period with a 1-0 lead. 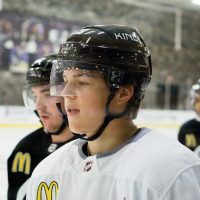 Then came an offensive explosion against a usually stingy Nashville defense, resulting in the Kings scoring four unanswered goals and defeating the Predators 5-1. Tina C. – BERNIER’s continued hot streak!! Jace K. – Faser’s best game of the season. Toby H. – Doughty and Muzzin bringin’ the pain! 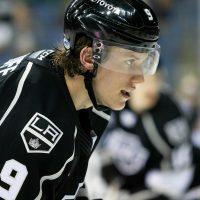 @LisaTashjian – That the 3rd period seemed like a COMPLETELY different game than the first 2 periods. @GregoryWells13 – Doughty channeling his inner Rob Blake. @geefisky – Dwight King scoring his 1st of the year and looking up to the heaven’s as if to say, this one’s for you baby girl. Moving on to the second game of the back-to-back set, Tuesday’s affair with St. Louis could be described as anything but boring. In fact, it was a see-saw event though two periods, filled with plenty of fights and a situation that had the home team trailing 4-2. Once again though, LA came out firing in the final stanza and posted four unanswered goals. Bryan R. – The aggressiveness to attack the zone and put the puck on net. They never quit. Bobbi w. – The swagger factor… nothing to be alarmed about, calm confidence. Zach L. – The third period. Just the third period. 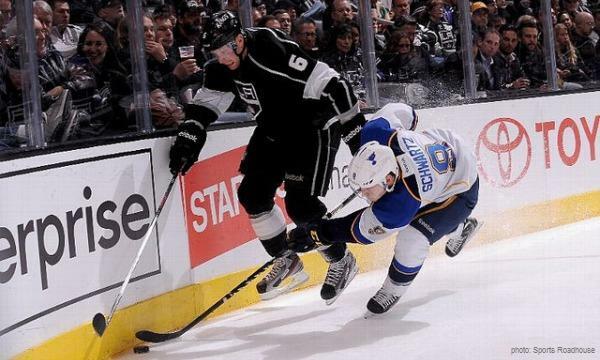 @Palancospasta – Kyle Clifford’s K.O. @Almsmcq – Voy wonder’s goal. Like to think the rowdy-crowd at Staples may have them a boost too! @underactive – Still believing in my lucky cinnamon pretzel at the start of the 3rd. Haven’t lost at home while I’ve had one. 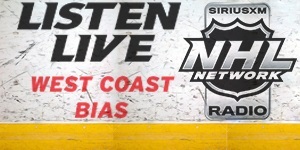 Enjoy a free replay of this week’s Mayor’s Minutes on NHL Network Radio, where John Hoven joined host Jim ‘Boomer’ Gordon to take a deep dive on the LA Kings hiring Todd McLellan as their new head coach. 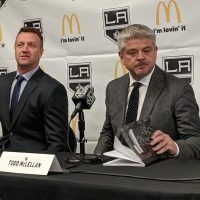 It’s no secret that Los Angeles GM Rob Blake has his work cut out over the next three months. He’ll need to hire a coach, make some trades, and carefully navigate around a series of potential landmines while the rest of Southern California is barbecuing and off at the beach enjoying the summer months. Will Jeff Carter be back with the LA Kings? What’s the deal with those previous reports of him allegedly saying he may retire if traded? 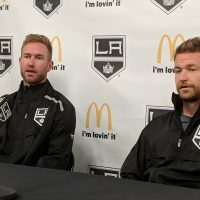 While guys like Drew Doughty, Dustin Brown, and Rob Blake spoke at length during Monday’s exit interviews, Jeff Carter opted for the quality over quantity option.